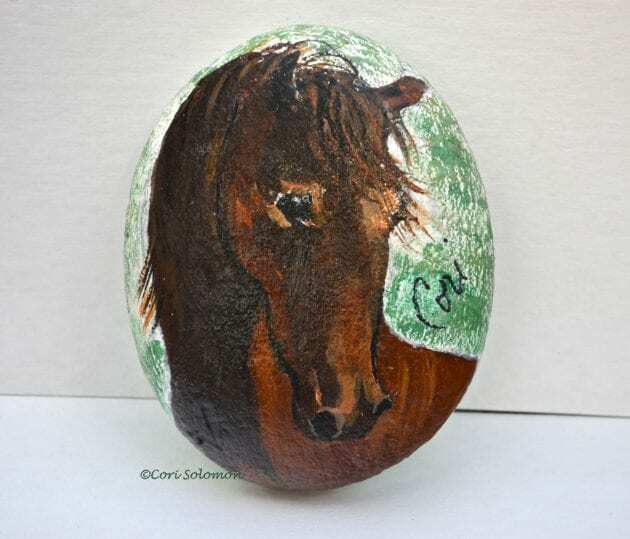 This acrylic horse is created on a stone quarry rock. The rock creates interesting surface to paint on. To purchase this artwork email Cori.